We have all heard about the bad investments that so many people made in the Myrtle Beach real estate market. People purchased condos for $750,000 and they are now selling for $300,000. There are cases where a condo owner may have a mortgage today to $289,000 yet the unit would only sell for $110,000 right now. All of these stories are true. Obviously, like the news, often it is the bad stories that most people pay attention to the most. There are some good stories taking place right now that are getting zero attention, and the buyers involved hope you never hear about it. Recently, one of our clients who purchased a condo 18 months ago for $175,000 was just offered $270,000 and he wasn't even listed for sale. I wonder why that story didn't hit the news? I have another client who owns a unit that last year was selling for $145,000 and today the cheapest unit listed in the building is $229,900. Once again, isn't this the first time that you've heard this story? At some point, the story about Myrtle Beach real estate will change. The bad stories will turn into good and it appears that it is silently happening right now. If you are going to buy a condo in Myrtle Beach or possibly a piece of North Myrtle Beach real estate, then you may want to start looking right now. What else would you be waiting on? If you wait until the newspaper writes about these amazing deals, it will be too late. 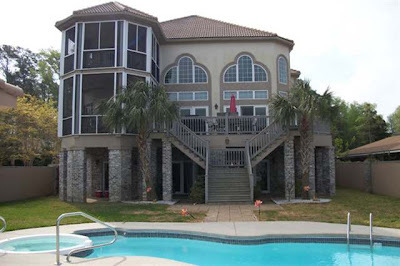 If you do decide to purchase along the Grand Strand then make sure you choose a Myrtle Beach Realtor who has experience working with investors. A good real estate agent can help you identify the deals that a lot of others may not know about. I hope you will be one of the area's next success stories.